Dongfeng Yufeng will be listed. Will this new entrant in the European light market be an uninvited guest? Does Dongfeng Yufeng change the pattern of the European light passenger market? On May 29, the Dongfeng Yufeng A08 European Light Passenger held the first professional media test drive meeting in Beijing. This was the final rehearsal before Dongfeng Yufeng's listing activities. The product lineup was comprehensive to the standard Jiangling Ford Transit and SAIC Chase V80. At the same time, SAIC Chase and Jianghuai Xingrui are launching more new platforms one after another, and marketing campaigns are coming one after another. In response to the strength of the three major newcomers in 2012, Nanjing Iveco and Jiangling Ford Transit have both counterattacked. The European Union's light passenger market is filled with smoke and the war is imminent. In this round of war, what role will Dongfeng Yufeng play? At the scene of this test drive event, Dongfeng Yufengâ€™s full range of light passengers formally debuted for the final rehearsal of the listing in June. The first commercial vehicle network reporter learned that around June 19, Dongfeng Yuyang Touring Company Dongfeng Yufeng Sales Co., Ltd. will hold a dealer conference in Hangzhou, and grandly kicked off the prelude to the national listing activities of Dongfeng Yufeng European light passengers. At the test drive meeting, apart from allowing the media to get closer to Yufeng products, it also conveyed a very strong signal. 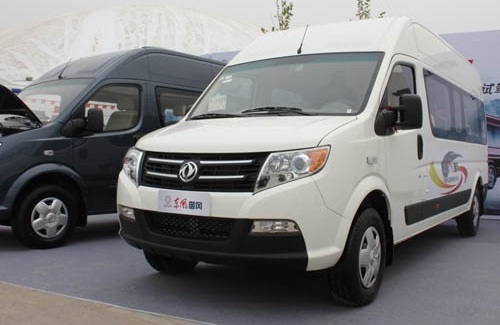 First, Dongfeng Yufeng will launch a full range of products at the beginning of the listing, including short axis, medium axis (ie, long axis short suspension), long axis, logistics vehicles, commercial vehicles, passenger vehicles and various modified vehicles. The reporter noticed that although the same with the SAIC MAXUS Chase V80, both British LDV light passenger pre-precursor full load carrying body technology, but the Dongfeng Yufeng product line more complete, not only short-axis vehicles and long-axis short suspension , There are more than 6 meters of long-axis models. Dongfeng Yuyang Wagons Co., Ltd. Dongfeng Yufeng Sales General Manager Ye Guofa told the reporter that Dongfeng Yufeng adopts Nissan ZD30 high-speed common rail engine (3.0L) and South Korea imported 6-speed gearbox, and the transmission system has been optimized and matched. The fuel consumption per 100 kilometers is only 8.6 liters. "Furthermore, the Porsche Engineering Company has carefully adjusted the Yufeng chassis, which makes us have low noise, low fuel consumption, good reliability, good safety and controllability. Good for many comparative advantages." The second is that Dongfeng Yufeng has to face not only Jiangling Ford Transit and Nanjing Iveco, but also SAIC MAXUS Chase. The reporter saw at the scene of the test drive meeting that Dongfeng Yufengâ€™s brand communication language was â€œcombined with innovation and benchmarksâ€ and greatly surpassed the momentum of â€œinternational benchmarks and legendary departuresâ€ proposed by SAIC MAXUS Chase, and also heralded the east wind. Yufeng and SAIC Chase V80, these two independent brands that also originate from the British LDV light passenger technology, will compete and surpass each other this year. At the same time, Dongfeng Yufengâ€™s price system also refers directly to â€œthe same brotherâ€ SAIC Chase. Its logistics version of the short-axis model is priced at 147,800 yuan, which is only 2,000 yuan more than the official guide price of the Datong Yunjie version, which is also a logistics model. "Porsche Engineering Co., Ltd. once conducted a comparative test at the Xiangfan Proving Ground and believed that Dongfeng Yufeng's chassis The overall performance is better than most domestic light passengers. Since it is a good product, we certainly can't sell it too cheaply," said a senior executive of Dongfeng Liyang Touring Co., Ltd.. Some people predict that Dongfeng Yufeng is likely to hold high in the beginning of the listing, but after the price will appear loose, and close to SAIC Chase short shaft shipped outstanding version of the terminal sales price of 125,800. Just before and after the Dongfeng Yufeng test drive event, two other European light passenger rookies also accelerated the pace of market deployment. The first challenge, the two giants of the European light-bus market, Jianghuai Xingrui, released a new long-axis short-hanging new product at the Beijing Auto Show in April 2012. This product will be available in July of this year, with the previous star. Sharp long axis models complement each other. By the end of this year, JAC's short-axis vehicle products will be announced at the Guangzhou Auto Show, so as to truly form a full range of product coverage. Lin Xiaohu, assistant general manager of Jianghuai Automobile and general manager of the multifunctional commercial vehicle company, told reporters that starting from the end of this year, the short-axis vehicles will be listed. Jianghuai Xingrui will transform from â€œencircling the countryside from the countrysideâ€ to â€œthree big battlesâ€ and fully attacking the frontal battlefield and the big Medium-sized cities compete with competing products in all market segments and all regions. Shangqi MAXUS Chase, which was listed in September last year, has also continued to enrich its product line this year. It is understood that SAIC Chase sold a total of 1,179 vehicles in April, more than last year's total sales. In the first quarter of this year, in order to further enhance the market performance, SAIC Datong launched a nationwide promotional campaign to reduce the price of the Chase V80's short-axis excellent version (logistic model) from 145,800 yuan to 125,800 yuan, which is only shorter than the Jiangling Ford Classic Transit. Axis Express is less than RMB 6,000. On the other hand, SAIC Chase and Jianghuai Xingrui have already taken action in the development of lower-displacement power. The first commercial vehicle network reporter recently learned that Jianghuai Xingruiâ€™s short-axis vehicle products that are listed at the end of this year are expected to carry JACâ€™s newly developed 1.9T turbocharged diesel engine; SAIC Chaseâ€™s 1.9T diesel engine has already begun to install vehicles. test. â€œAt present, the engines of domestic European light passenger vehicles are almost 2.5L and above. Compared to this displacement, the 1.9L engine light consumption tax can save 4%-7%, which is equivalent to savings of about 5000-10,000 yuan. The cost of buying a car. This is not a fuel-saving advantage of a small-displacement engine,â€ said one industry expert. Undoubtedly, the product distribution of the three major European light passenger new forces will gradually take shape this year and will pose a more powerful challenge to the traditional two giants - Nanjing Iveco and Jiangling Ford Transit. "Currently, Jiangling Ford Transit has taken a series of measures to deal with the competition of European rookies," an industry source told reporters. Jiangling Ford Transit has two product platforms, namely the mid- to high-end Ford New Generation Transit (V348) and the low-end Ford Classic Transit. For the latter platform, Jiangling Motors has already launched promotional price cuts in most parts of the country. The 17-segment long-wheel vehicle of the Ford classic Shunshun dropped a round last year. It dropped another round at the beginning of this year. It has now fallen below 169,300 yuan, which is higher than the price of Jianghuai Xingrui standard passenger car (17.78 million); its long axis The short-driving sprint model has also dropped to 140,000 yuan, and the short-axis express model has been adjusted to 119,900, which is lower than the SAIC V80 short-axis transporter. For the ascendant market of European light passengers, Dongfeng Yufeng is not the first rising star to enter, nor will it be the last one. With the market segmentation and large-scale development, during the period from 2012 to 2013, the European light passenger vehicles of the Huanghai Bus, Weichai, and other vehicle and component companies will be put into production one after another, which will further promote the market of this dual monopoly to become fully integrated. competition. It can be said that Dongfeng Yufeng is entering a highly competitive market. However, regardless of the opponent, Dongfeng Yufeng's biggest opponent may be himself. Can Dongfeng Yufeng have a beautiful opening? Everything is done after listing. Round sling is both high strong and non-damaging to its load.Extremely light in weight and infinitely flexible in all directions,it is easy and quick to manipulate even when awkwardly shaped or fragile loads are being lifted.It can be used for machining, shipbuilding, power installation, transportation etc.Round sling max load can reach 3000 tons and the effective length can reach 100 meters. The safety factor is generally 7:1 and 6:1. Circular lifting roundsling is high strength polyester industrial filament made from 100% (PES),external use 100% PES woven stress of casing for bearing core is protected. Previous: Around the world, the â€œEmperor's Brotherâ€ deeds are commonplace and ordinary citizens continue to write extraordinary legends.